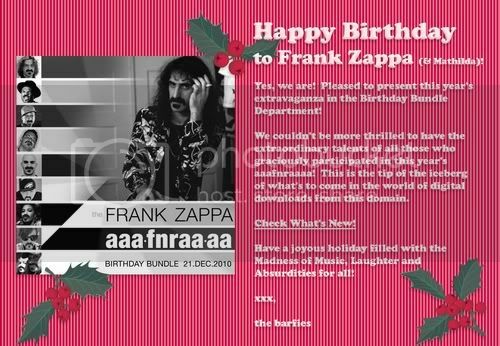 To celebrate the fact that Frank Zappa was born 70 years ago today the Zappa Family Trust have released a new “birthday bundle” on iTunes. Full track listing on Zappa.com. iTunes download here.